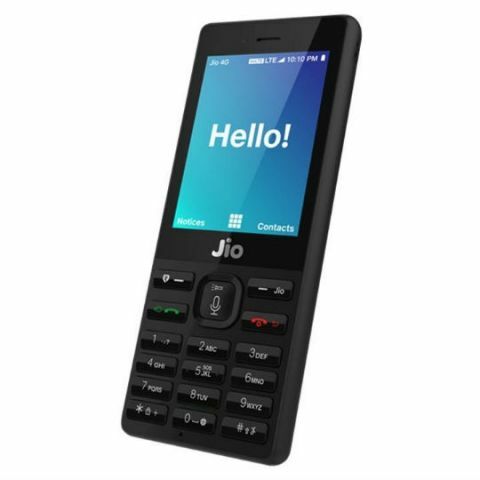 JioPhone is Reliance Jio's plan to disrupt the feature phone market and it will be available for pre-order starting August 24. The 4G feature phone will be available for purchase in September. Reliance Jio has started a dedicated web page to tap into the consumer interest for its upcoming JioPhone device. The company has started a new 'Keep me posted' section for the JioPhone, where interested customers can register by submitting their name, email address and phone number. The details will be used to share details about the device including its availability and pre-order details. During its July 21 AGM, Reliance Industries Chairman, Mukesh Ambani announced that JioPhone will will start beta testing the JioPhone starting August 15 and customers can pre-book the device starting August 24. The 4G feature phone is said to be available in September for purchase to those who have pre-booked it. "JioPhone will be made by the third party and marketed by Reliance Retail. Jio is only bundling its services with the phone. Customers who register their interest will get an update about JioPhone booking, availability and the like," a source familiar with the development told news agency PTI. JioPhone is Reliance Jio's plan to disrupt the feature phone market. Jio says that there are over 50 crore feature phone users in India and JioPhone aims to convert all of them into 4G feature phone users by offering free 4G data and VoLTE voice calls. JioPhone will be available at a one-time deposit of Rs 1,500 refundable after three years. JioPhone buyers will get unlimited 4G data with a fair usage policy of 500MB per day and unlimited voice calls at Rs 153 per month. The Rs 153 recharge option is only available to JioPhone users. JioPhone customers also have an option of recharging with Rs 23 for a two-day plan or Rs 53 for a weekly plan. JioPhone customers can also watch live TV by connecting their feature phone to any TV with the supplied cable and opting for Dhan Dhana Dhan pack of Rs 309. The handset is said to be powered by Qualcomm's Snapdragon 205 chipset. Ambani claims that JioPhone will turn feature phones obsolete, but it has been criticised by other telecom operators for violation of Net Neutrality. Does playing games on a laptop not dedicated for gaming reduces the lifespan?